You may notice that the wall near a candle has black smudges or that the candle holder is clouded with black residue. What you're seeing is soot, and while some amount is natural, heavy amounts of black smoke and soot are a concern and can be prevented. All candles produce small amounts of smoke, but a properly burning candle should not produce visible black smoke. Small amounts of smoke and soot are natural parts of the burning process. In a candle, the wax is the fuel and the wick is the fuel-delivery system. With well-made and properly maintained candles, the soot and smoke will be minimal, and will not leave black residue behind. Excess smoke and soot are evidence of an incomplete chemical reaction that could be caused by a variety of factors, some of which can be easily remedied. The primary cause of black smoke is an overly long wick. 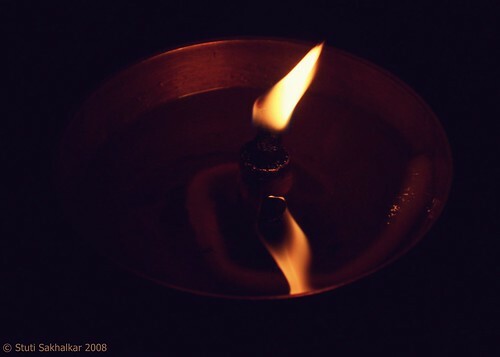 When a candle burns, the wax near the flame melts and the liquid wax is pulled up the wick to feed the flame. If the wick is too long, the balance of heat and fuel will be off. This throws off the chemical reaction and can produce excess soot and smoke. Trimming wicks to between 1/8 inch and 1/4 inch before you light the candle is the easiest way to prevent black smoke. Another common cause of black smoke is a drafty environment. Candle flames flicker; it's part of their appeal. But if the flame is blowing in the wind or flickering excessively from a draft, smoke and soot may result. If you see your candle flames wavering excessively or blowing around, check for drafts. Turn off the ceiling fan. Close the window. Move the candle to a more protected spot. 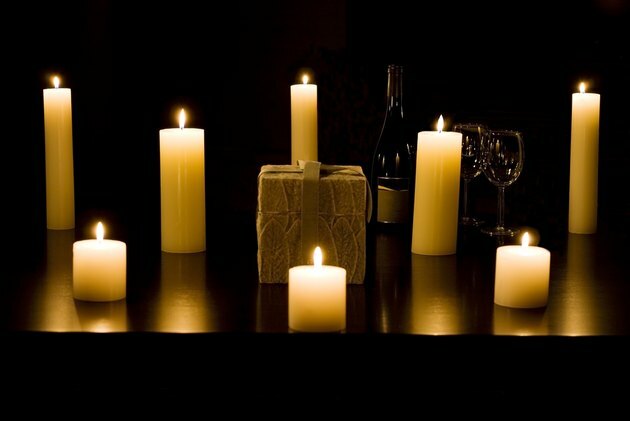 Keeping your candle flames away from too much moving air will help them burn more cleanly. Since a candle is a chemical reaction, everything that goes into it can have an impact on how it burns. Different waxes burn at different temperatures and require a different wick size to burn effectively. Some colors can clog a candle wick, slowing down the fuel delivery and causing smoke. Heavily scented candles may smoke more than unscented ones, and some scents may smoke more than others. If you've checked everything else and your candle still smokes, it may be for one of these reasons. Buy well-made candles, and try a small candle first to see if it produces smoke. How Do Dripless Candles Work?